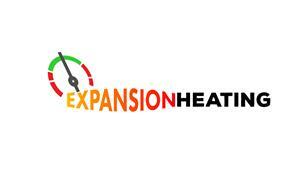 Expansion Heating - Central Heating Engineer, Plumber based in Haywards Heath, West Sussex. Hello and welcome to Expansion Heating, a domestic plumbing and heating service designed for homeowners, landlords and letting agents across the Sussex area. Expansion Heating is geared to providing an exceptional and comprehensive range of gas & oil central heating, plumbing and bathroom installation services. With over 20 years experience and being gas safe certified (the industry approved body) we not only adhere to the bang up-to-date UK gas safety standards, we exceed them - operating with qualifications that are generally above and beyond those of other central heating engineers and plumbers. We are also Oftec registered and specialists in oil boiler installations, servicing and repairs. We take great pride in treating all our customers with courtesy and respect and we offer services that are tailored to what's right for you, which may not necessarily be the most convenient option for us. In short you are our priority. For repairs, new installations, upgrades and servicing - Expansion Heating can meet your every need. For a responsive, reliable, customer friendly and exceptional value service, call Steve Pavey on 07904144955. Brighton, Burgess Hill, Chichester, Crawley, Eastbourne, Hassocks, Haywards Heath, Hove, Lancing, Lewes, Lindfield, Newhaven, Peacehaven, Polegate, Seaford, Shoreham, Uckfield, Worthing.